dried fruit, nuts, such as pecans wolfberry chestnut washed sesame peanuts (peanut) linseed black sunflower seeds pine nuts Cashew Nuts lotus seeds apricot fruit ginseng preserved fruit dried apricots almonds hazelnuts pistachios, walnuts, chestnuts, walnuts , sunflower seeds, watermelon seeds, pumpkin seeds, without shell melon seeds, peanuts, hazelnut, Torreya, nuts and other baking, ripening. 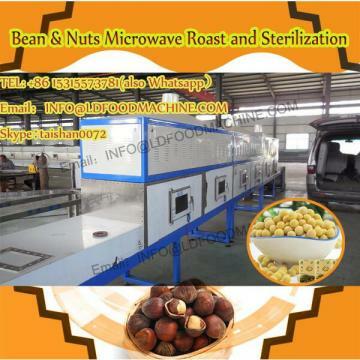 dried fruits, nuts after absorb microwaves into heat, body temperature, rapid evaporation of moisture contained in the material. The device uses the 2450MHZ frequency microwave source, the device operating frequency of the electromagnetic field produced by microwave equipment 2450MHZ 2.45 billion times per second frequency in the box. As the material is normally provided by polar and non-polar molecules molecules at electromagnetic field, polar molecules are randomly distributed from the original state to the arrangement in accordance with the polarity of the electromagnetic field, and with the electromagnetic field of frequency changing. This process resulted in intense exercise friction between molecules to produce heat. In order to achieve the field of the electric field inside the medium can be converted into heat, the temperature of the medium rising. 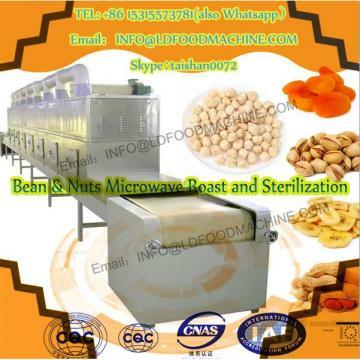 Body temperature, rapid evaporation of moisture contained in the material, so as to achieve drying, dried purposes. This heating is overall heating, no heat conduction, very fast. 6,simple operation, easy control and other advantages. Material in the microwave electromagnetic field acts directly, uniform heating, without going through the heat conduction, is a sanitary, efficient, puffing effect of a good technology, but also has bactericidal effect in the dual role of thermal effects and non-thermal effects of microwaves. Compared with the traditional process, a good production environment, there is no thermal inertia, products crisp and refreshing, rich flavor, puffing rate, natural color, less loss of nutrients. For large quantities of a variety of dried fruit roasted field. 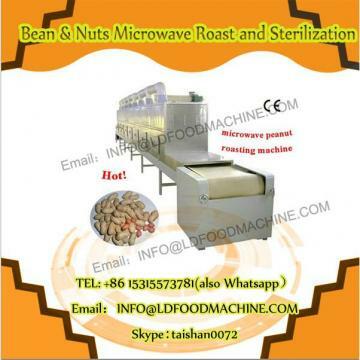 If you are interested in our product-microwave drying&strilzation machine,please fell free to contact us. Welcome to your early inquiry.